This was a special morning in early autumn. 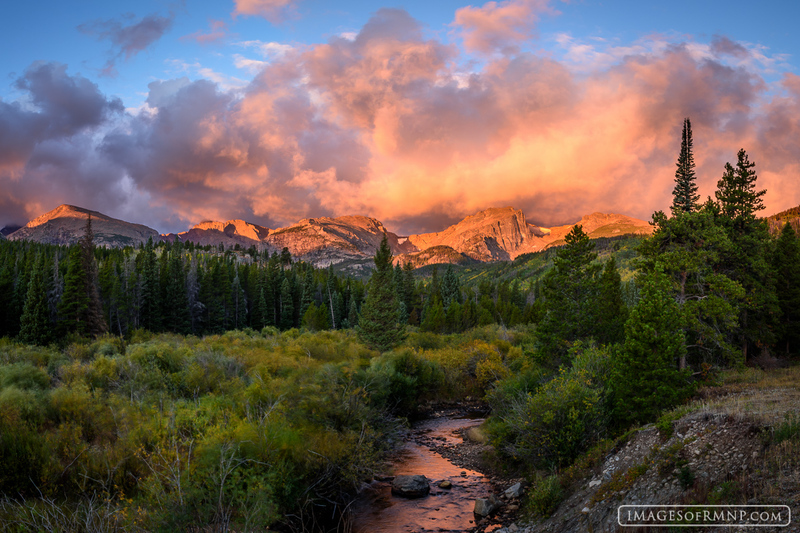 Clouds had built up along the Continental Divide just before sunrise. As the rising sun lit the scene it all came to life. The willows danced in the wind while Glacier Creek bathed in the warm light. It was a dramatic and stunning start to this new day. Photo © copyright by Erik Stensland.